Google Pixel 2 XL may be dead, but is a bigger and better version coming instead? 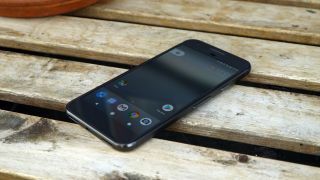 For a while there’s been talk of three different Pixel 2 phones – the standard Pixel 2, codenamed ‘walleye’, the Pixel 2 XL, codenamed ‘muskie’, and something that we know less about, but that was thought to be even bigger, codenamed ‘taimen’. It seems though that three is becoming two, as the Pixel 2 XL has apparently been cancelled. That claim comes from Android Police, based on information from three separate sources, and the site claims a 9 out of 10 level of confidence in it, so in other words it’s probably true. Assuming the muskie has been cancelled we’d think it’s likely that the taimen will take the Pixel 2 XL name, but it will probably be bigger than the 5.5-inch Pixel XL. If Google shrinks the bezels, as seems to be the in thing this year, then the overall size of the handset won’t necessarily be any larger though, even with a bigger screen. We recently saw a benchmark attached to the ‘Pixel XL2’ which listed a 2560 x 1312 resolution 5.6-inch screen, but it’s not clear whether that’s for the seemingly cancelled muskie model or the taimen. Other previously rumored specs include a Snapdragon 835 chipset, 4GB of RAM, a 12MP rear camera and a 7MP front-facing one, making for a fairly conventional flagship. We might not know the true specs for a while yet though, as the Pixel 2 and Pixel 2 XL – or whatever the new model will in fact be called – probably won’t launch until October.